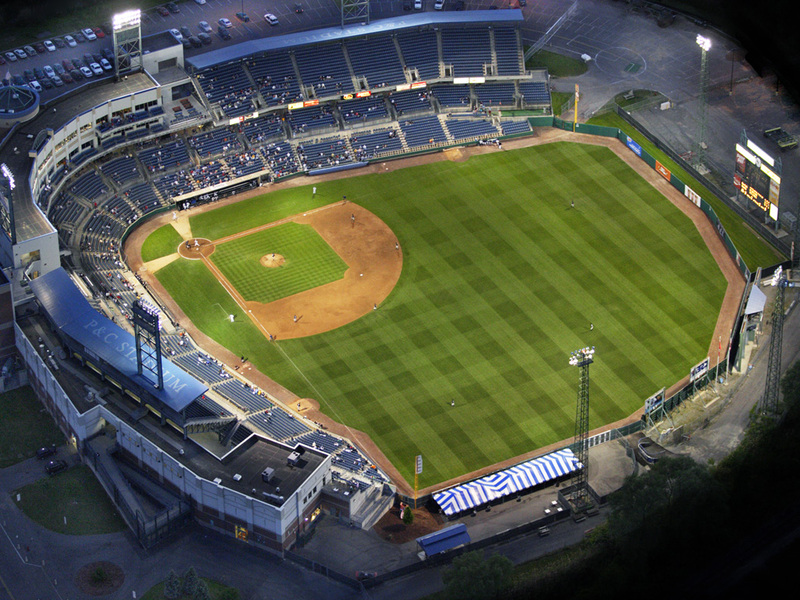 Appel Osborne Landscape Architecture worked with Onondaga County and completed the $830,000 construction cost project to transform the Syracuse's AAA Baseball Franchise Stadium from an Artificial Turf Baseball Field to a Natural Turf Baseball Field. Scope of services included removing of worn Astroturf, milling of porous asphalt base, adjusting the grades for a natural turf field, specifying a sand base root zone, skinned infield, warning track, removable pitcher’s mound and improvements to home and visiting team bullpens. To assist with growing maintenance requirements, AOLA designed a subsurface irrigation system and the infield was filled with a sand base sod. The stadium was chosen by the players as one of the top two fields in the league.